You do wrinkles so well!! Oh , you get all the good ideas...I am heavy tea drinker, but never thought of sketching/painting the tea bag :-) Well done ! Janet, unfortunately my face can do wrinkles even better! 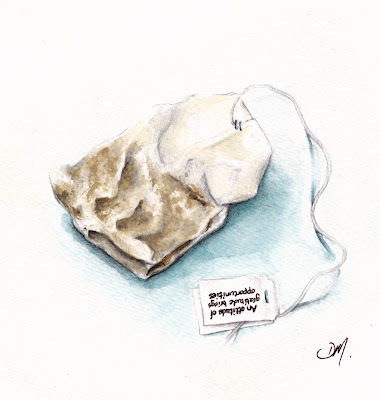 Who knew that a tea bag could look so interesting?! !